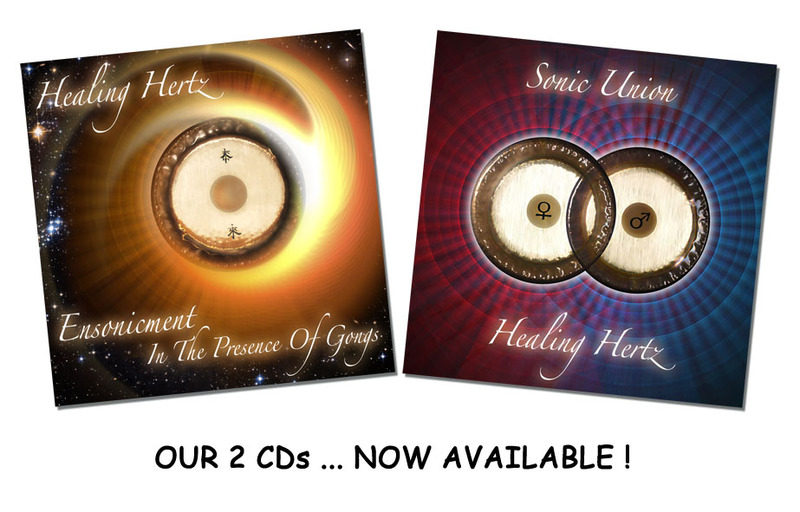 We are very excited to announce that our year long journey in the recording studio produced not one, but two different vibrational journeys which are now available for purchase. Yes, for those of you who don’t have the opportunity to get to our events, or those who want more gong vibrations more regularly, you can now experience a nourishing cellular massage in the comfort of your own home! These have been specially mastered to produce a vibrational experience using large to mid-sized speakers unlike regular music CDs and as such will vary from stereo system to stereo system. This is not sweet music for the ears but a vibrational cellular massage for the whole body to immerse in. These CDs have been designed for relaxation and inner journeying, and should not be used whilst driving or operating machinery. For those who have experienced our group / public events, this CD contains a journey similar to that experience. This CD was created from our own individual playing styles, the masculine Vs the feminine! It is a less intense journey but has deeper sustains as the focus was on playing individual gongs and the space between them! track 4 ” Holy Gong-union! ” : the merging of the masculine & feminine gong playing styles! Pls enter your name as a reference against the bank transaction for tracking. And then eMail us your banking confirmation along with your name & address details, and we will pop the CD(s) to you in the post as soon as funds have cleared.